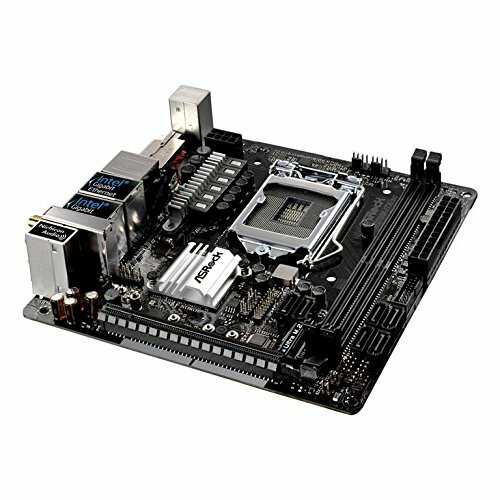 A very full featured and well laid out mini ITX motherboard for about $110. I was leery about choosing a 200 series motherboard, since there are so few of them on the market. I was afraid that manufacturers were rushing immature products to market since the Kaby Lake desktop processors just started shipping this month. So far, however, it's working great. 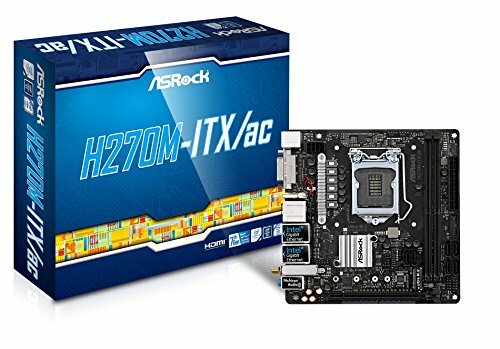 Using the H270 chipset, it supports both Kaby Lake and Skylake Intel processors. It comes with 2 HDMI and 1 DVI ports, 6 USB 3.0 and 2 USB 2.0 ports on the rear, with headers for 2 more of each. It has gigabit Ethernet jacks, built in WiFi and Bluetooth. It does not support the USB 3.1 Gen 2 standard or Type C USB connectors. Not a deal breaker for me. I do wish it had 2 chassis fan headers in addition to the CPU fan header, but it only has 1. The built in audio and video are more than adequate for my use. The most demanding app I use is photo editing, and with a fast CPU Photoshop is zippy. I especially like that the M.2 SSD port is on TOP of the motherboard, not on the bottom as is so often the case. It supports both SATA III and PCIe x4 M.2 SSDs. The memory slots are rather close to the CPU socket. I installed a I5 7600 with stock fan and G Skill memory with heat spreaders. It all fits, but there is no spare room between the memory and the CPU fan. I had to clip an unused plastic wire guide off the CPU fan to make it work. All the headers are well situated near the front of the board, except for the case front panel audio header. It was no problem in my set up, but the audio cable does have to run from the front of the case to the center parts of the rear half of the motherboard. I actually got this motherboard as a recommendation on Reddit. It was pretty simple to plug everything into, and the built in Wi-FI was a bonus. The BIOS was easy to operate, overall a great motherboard. Quite expensive for a "budget" Mini-ITX build but this is the cheapest Kaby Lake ITX board I could find at the time. Had no issues at all it is a very good looking and solid performing board. I particularly liked the hybrid fan headers (which is quite common these days but first time I've had one). In built AC wifi is useful, although it is not used on an ongoing basis it is handy during build as it is one less plug worry about. Has 8x USB, 6x SATA, Ultra M2 SATA - Dual GB Lan so plenty of connectivity. I actually really like this motherboard. The colors are nice and the features are fantastic for the price point. Front facing M.2 is a really nice perk for an ITX board since most of them have the slot on the back of the board. The only gripe I have about this motherboard is that the front panel audio connectors are are just North East of the chipset heatsink. I couldn't see a good way to route that cable and have it look good so I just left that cable unplugged. Other than that, this is a very good board for the cost. From previous Asrock Mobos with poor layout for cable management, this one has came a long way. Cable management was a breeze with this one. Has room for 2 m.2 ssds, and ac wifi, what else could you ask for? So far, so good. Tons of USB ports, wifi is decent and looks clean. Nothing to complain about. 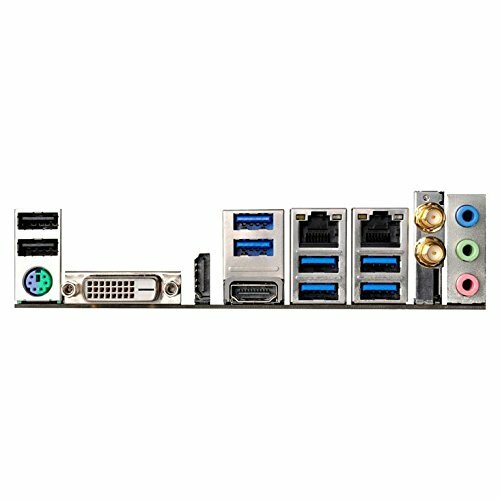 Was looking for the cheap M-ITX mobo that serves G4560 while has all the bells and whistles. First I was looking in to 170 models but many told I will need previous Skylake CPU to bios update. I had good deal during the search and for the price I took the chance and came out really well. Once complain was USB 2.0 port placed right next to the GPU block. I got SilverStone Technology 2.4G Wireless Remote Computer Power/Reset Switch, USB 2.0 9-pin Interface ES02-USB which uses USB2.0 port and the adapter was going to interfere or possibly not going to work with any GPU which has longer fan size. Luckily GTX 1060 I got was mini size and tightly worked. 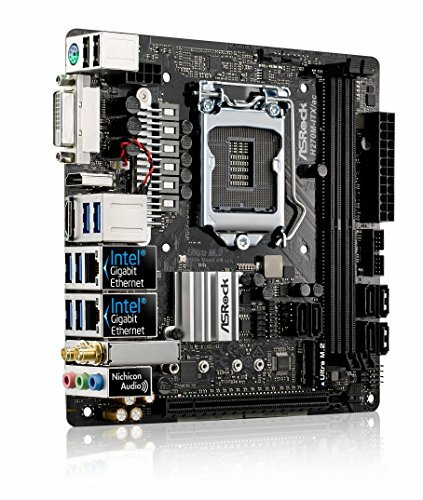 Also I really like that they put M.2 slot on top of the Mobo (will be easier to upgrade if I ever needed) Many others has them in the back so it require complete uninstallation of board to use M.2 slot. Brilliant board, enough connectivity for any build. Pretty basic motherboard, but I like the neutral color scheme.